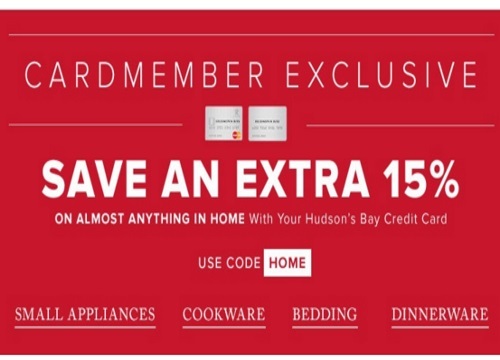 Hudson's Bay is offering an extra 15% off on anything in their home department when you use your Hudson's Bay credit card. This offer applies to on furniture, mattresses, housewares, small appliances, patio, dinnerware, stemware, bedding and towels. Enter the prom code HOME to get the discount. Offer is valid March 25-28, 2016.